Began selling my new plugin SAM Pro Lite. With this event began life my new project to develop plugins for advertising management for WordPress. 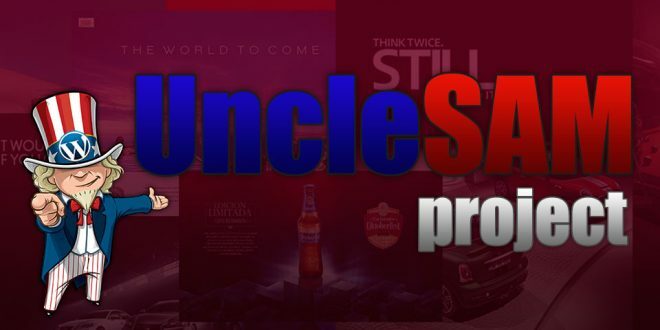 The project is called UncleSAM and consists of three variants of the plugin SAM Pro, successors of the now existing Simple Ads Manager plugin. Because the Simple Ads Manager plugin is my first experience in this field of the plugin development, it was not possible to avoid some mistakes in the planning and development of plugin functionality. Some bugs was corrected by me own, some with the help of volunteers and users of the plugin. Nevertheless, some global blunders (eg in structuring data) manifest themselves in the related difficulties of use of plugin and the impossibility of further development of plugin. As the plugin is still popular, I decided to conduct a global reconstruction of the plugin. The new family of plugins developed by taking into account all previous experience with the introduction of new technologies. The concept of the plugin completely redesigned and expanded. 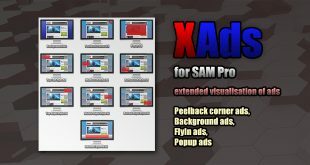 SAM Pro (Free Edition) – plugin for advertising management on websites of amateur bloggers. Replacement for the Simple Ads Manager plugin. Basically replicate the Simple Ads Manager functionality but on a new platform. SAM Pro Lite – semi-professional plugin for managing advertising in the blog. Designed for small professional sites and large amateur sites. This plugin can be purchased on site CodeCanyon. Scheduling and limitations by impressions/clicks. Total, monthly, weekly, daily limitations for impressions and clicks are available. Three-level geotargeting (country, region, city) based on web services (MaxMind, DB-IP) or your own database. The automatic embedding of ads into the content of posts/pages and archives. Full statistics of the impressions and clicks. There is the difference for the different versions. Please more details… What is the error? What kind of plugin (SAM or SAM Pro)?